At the corner of Sarcee Trail and Glenmore Trail is the community of Glamorgan. Homes for sale in Glamorgan include detaches houses on large lots and a variety of condos and townhomes. Here are all the Glamorgan real estate listings, and read more about the community below. The SW Calgary community of Glamorgan was established in 1958. 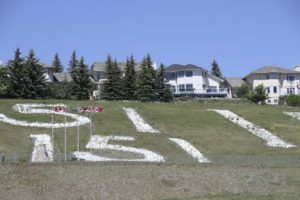 It is located in between Sarcee Trail and 45 Street West, just north of Glenmore Trail. Similar communities nearby include Glenbrook and Glendale, both to the north. Across Sarcee Trail is Signal Hill and Lakeview is located across Glenmore Trail. The Glamorgan Community Association has hall rentals for events, wedding, reunions and more. Glamorgan real estate includes bungalows on large lots and a variety of different-sized condos. With lots of shopping nearby, good school and many parks, Glamorgan is a popular neighbourhood for the young and old. Glamorgan features quiet and large street, with numerous parks within the community, including Glamorgan Park and Grafton Park. The community is home to two schools – Glamorgan School and St. Andrew Elementary School. A.E. Cross Junior High is nearby. 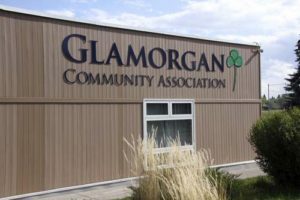 The Glamorgan Community Association has events and offers hall rentals. There are plenty of amenities within and surrounding Glamorgan. Mountain View Bowling is popular for all ages, whether for serious league games or casual glow bowling. The Glamorgan Bakery sells cakes, breads, desserts and doughnuts, and it is a destination for many Calgarians. Major shopping centres are only minutes away, including Westhills and Signal Hill. The Grey Eagle Casino is just across Sarcee Trail and has events, food and fun. Mount Royal University is conveniently located nearby Glamorgan. Access to Bragg Creek and the Rocky Mountains via Highway 8 is fast. Regular bus service from Calgary Transit connects to downtown and beyond. For more information about this community, contact us today! And check out all the current homes for sale in Glamorgan above.